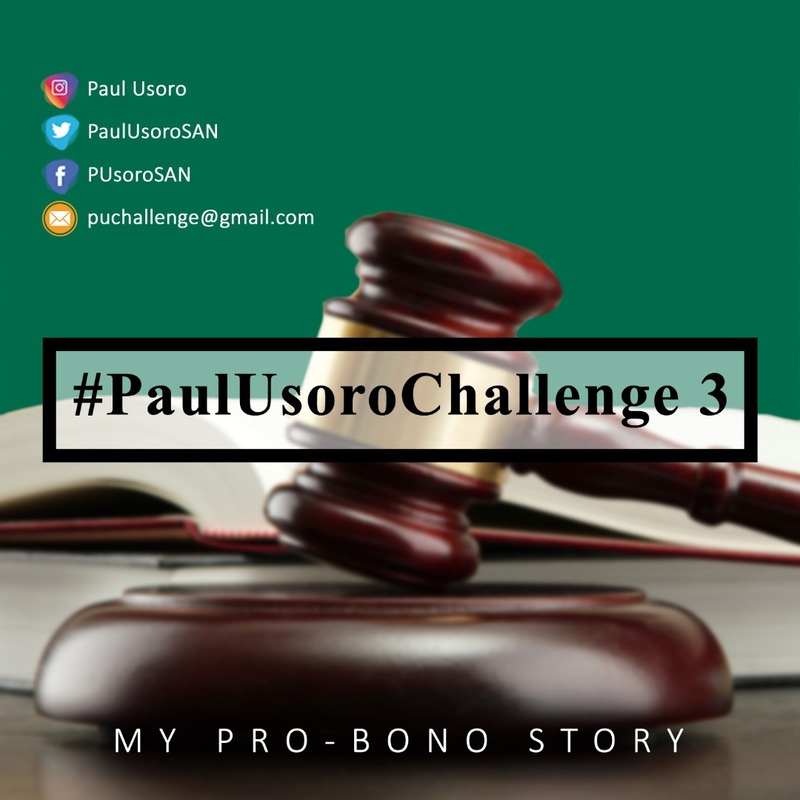 In order to keep encouraging the act of selfless service in the legal sector, we bring to you the 3rd edition of the #PaulUsoroChallenge. 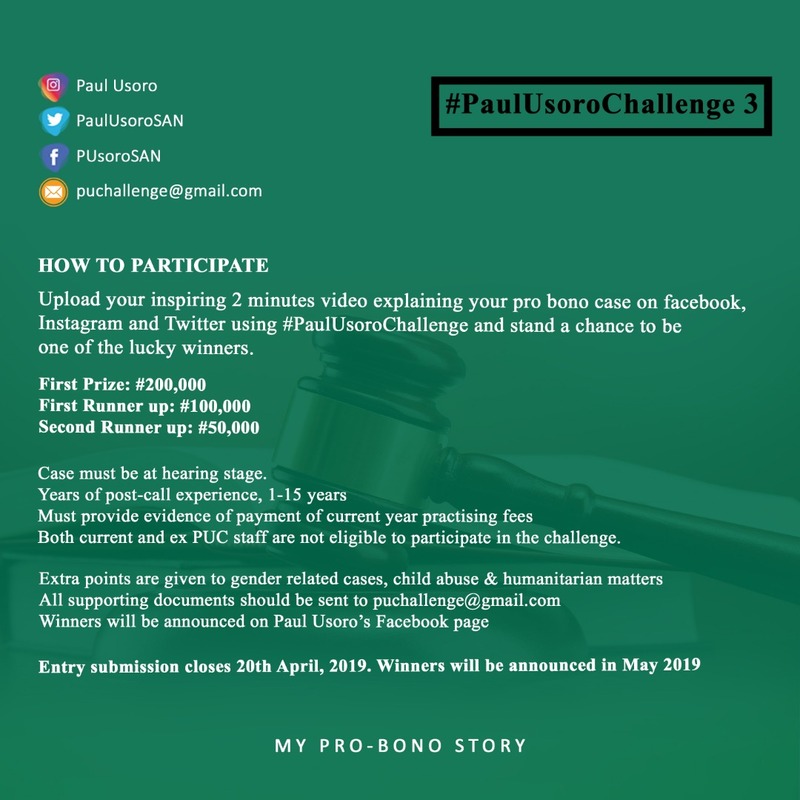 Are you a lawyer currently handling probono cases? Kindly read the inscriptions below on how you can participate and be part of our winners.